I know most of us have been dealing with building our home lab and playing with VM's in our lab environment. Talking about me personally i have been doing the same stuff for quite a long time now using VMware Workstation (one of the possible solution we have when it comes to home lab). I am going to create home lab infrastructure however this time it's not gonna be on workstation but on Physical box.I know getting a physical box is not that cost effective solution for home lab kinda environments. Maybe i am blessed to have such a nice manager. At the end of the day what matters is what sort of workloads we wanna run, are we only thinking about 4 -5 VM's hosting ESXi,Vcenter and couple of other services.Or maybe we are thinking to take our home lab infra at all new level. So what do we got? 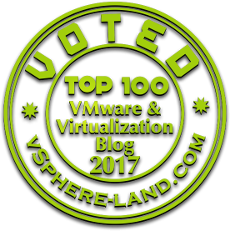 How Many VM's are Required? To Start with the basic's we need below VM's to work with as part of our home lab infra maybe later based on the tasks we are planning to do we can add few more VM's. Again when it comes to ESXi numbers its really upto us how many we need i added two keeping in mind few basic scenarios vMotion or maybe for testing HA functionality. * I mentioned desktop aka control center from where we are going to manage our vSphere environment as an optional component because we can also use the same domain controller machine to accomplish this task. Will Proceed further with the installation of above VM's one by one, starting with the installation of Domain Controller. Great Article and a nice initiative for all those who want to create a home lab.